Tantalize your taste buds at several restaurants in the West 4th neighborhood in Kitsilano. 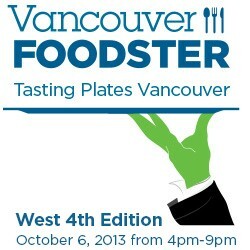 This tasting extravaganza goes from 4pm until 9pm and is presented by Vancouver Foodster. 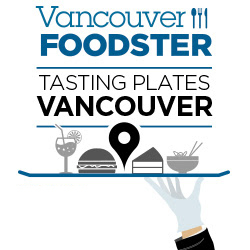 See Richard Wolak (Founder of Tasting Plates events and VancouverFoodster.com) on the Global TV Morning News! Attendees will receive a Swag bag filled with goodies from Shop West 4th neighborhood merchants. Obsessively Sourced, Terroir-Based Tea. 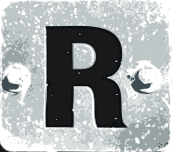 O stands from our obsession with Origin. We travel the world learning about the soil on which our tea grows and the people who care for it. Because healthier, better earth yields the teas that we want to share. 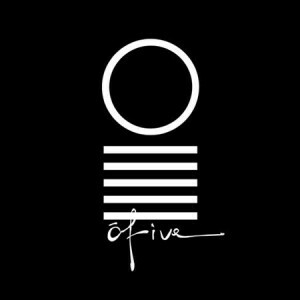 5 represents nature’s elements: Earth, Water, Fire, Wind and Void. In harmony, these elements express the best qualities that each terroir gives to tea. EAT good food. Keep it FRESH. Keep it simple. Be CREATIVE. Let seasons and farmers be our guide. Be good to the PLANET, and all who are on it. LAUGH. SHARE. Do what you do best: with us, it’s BURGERS. Guanaco food truck specializing in a Salvadorian staple food, “Pupusas” which is a thick handmade corn tortilla filled with your choice of: cooked pork, chicken, and season beans, mixture of fresh cheeses and seasoned fresh vegetables, Pupusas are an excellent choice for meat lovers and vegetarians alike. Guanaco’s food is fresh and sourced locally. Serving food more from the north of Mexico, Baja and California. Jackson’s Meats & Deli is unique from its competition in that it is the oldest Meat Market in Vancouver. Jackson’s boasts six generations of butchers starting in Maidenhead, England in 1856, and has been a part of Vancouver’s heritage since 1911. Beautiful espresso from Fernwood Coffee, delicious freshly house-baked gluten-free goodies and our tasty homemade soups and sandwiches. Welcome to The BiBo Pizzeria con Cucina, the authentic Italian experience! The BiBo is not just a restaurant; it is a philosophy of life… an obsession for quality that is translated through every prepared Italian dish. The BiBo brings cuisine simplicity to life by teaching guests to appreciate the natural ingredients and explosive flavors carefully selected from the far corners of Italy. Advance Tickets: $40 per person. $120 for a 4 pak of tickets or $162 for a 6 pak of tickets (get a group of your friends/family together and save by purchasing a 4 pak or a 6 pak). 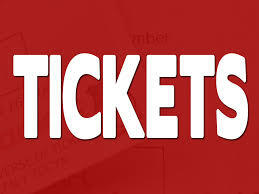 Regular Tickets $50 per person after October 1, 2013. Ticket price includes tasting plates at each of the participating restaurants throughout the event along with a swag gift bag. (Beverages are included at some restaurants which will be noted, you are welcome to purchase wine, beer, cocktails or mocktails at each of the participating restaurants).